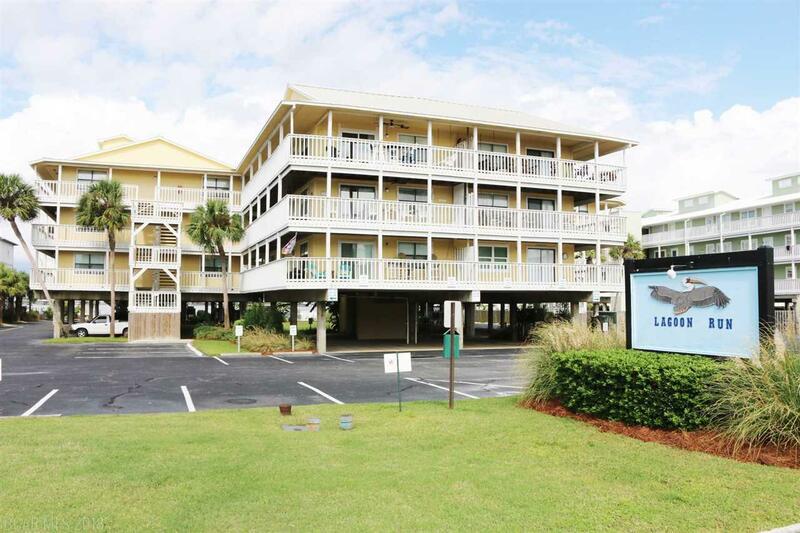 Three bedroom two bath on West Beach Blvd for $279,900. This condo has it all. Huge private wrap around balcony with gulf views from every side. All tile in the main living area with balcony access. Well stocked kitchen with granite countertops, updated cabinets, and tile backsplash. Smooth ceilings, fresh paint. Easily sleeps 8 guests. Guaranteed beach access right across the street PLUS community lagoon front pool, boat launch, dock, pier, BBQ area, kayak storage, and gazebo. Covered parking right under your condo. Elevator access...no steps to contend with. Great opportunity at a great price! Second home, primary, or rental! Sold completely furnished. Never rented.